According to Rolling Stone's Rock & Roll Daily blog, the Floyd is suing EMI over miscalculated royaltiesapparently adding another artist to the ranks of those recently rankled by the label. Author Daniel Kreps hypothesizes that millions of dollars of royalties may be involved, but neither the band nor EMI are commenting. Youth Music Theatre UK is holding an auction for several items whose proceeds support YMT UK themselves. Among these items is a copy of the Oh By the Way box set donated and signed by Nick Mason. YMT UK runs projects to help youth develop, rehearse, and stage musical theatre productions, as well as outreach programs for young people who might not have other options for participating in theatre. Live Earth's founders and the chairman of the International Panel on Climate Change have released a statement regarding the cancellation of Live Earth India, which was to take place in Mumbai. The Live Earth show scheduled to take place in Mumbai on December 7 is now in doubt, according to some Indian news sources. Indian Express is reporting that a decision will be made by December 4, while Daily News Analysis India carries an unconfirmed report that the show has been called off. Obviously, this is in response to the Mumbai terror attacks that began Wednesday. Roger Waters had been confirmed as playing at the show. Gerald Scarfe, famous for his political art as well as for the animation in The Wall, will be honored today with a CBE (Commander of the Order of the British Empire) by the Queen of England. While he's probably known by most people for his work with Floyd, he's done much more, and has made a great deal of his work available at his website. As many, many news outlets are reporting, Richard Wright, a member of Pink Floyd since 1965, has passed away after a battle with cancer. Rick's vocals, both lead and background, and his unique and instantly-recognizable organs and keyboards were a linchpin of the band's well-known and distinctive sound. Our condolences, as well as those of fans around the world, go to his surviving family and friends. 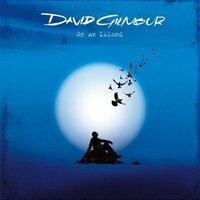 David Gilmour has posted his own feelings on the loss of Rick at his site; he is able to eulogize his old friend far better than we ever could. In a recent Associated Press interview with David Gilmour about his upcoming Live in Gdansk DVD, the subject, as usual, turned to the possibilities of a Floyd reunion. Gilmour noted that he's "been there, [...] done that" and doesn't anticipate being involved in any Floyd tour, which should be no real surprise at this point. The article also covers the backdrop of his show in Gdansk, Poland and the history around it, along with tidbits about Astoria and the new David Gilmour Black Strat. Pink Floyd Producer NORMAN SMITH died yesterday, March 6, 2008, at the age of 85. Norman Smith became famous for being the producer of Pink Floyd's first three albums. These first three albums let you hear the progression of the band towards Dark Side Of The Moon. On album one, "Piper At The Gates Of Dawn", released in 1967, the genius of founding member Syd Barrett is featured. Next on album two, "Saucerful of Secrets" released in 1968, Syd Barrett is only on a couple songs, but the other band members grow in his absence. As Syd Barrett disappears and the others forge a new sound, "Ummagumma" is released in 1969. It is worth picking up NORMAN SMITH's book of stories of his life, including his accounts of working with Pink Floyd in the studio in the Sixties and beyond. In addition the Coachella festival, Roger Waters has announced spring 2008 concerts in Denver, Dallas, and Houston, as well as in the Netherlands and Denmark. As always, additional dates that may be scheduled will be on the Tour page. Each show will feature what is now apparently a staple of any Roger Waters show: a full performance of Dark Side of the Moon. As many of you already know (especially since I meant to post this Monday), Pink Floyd has released their latest boxed set, Oh By The Way -- and just in time for the holidays. The set contains all 16 of the band's studio albums (minus, of course, the compilation albums Relics, A Collection of Great Dance Songs, and Echoes) with artwork based on the original LP releases', and a few other tidbits. Unfortunately, there's no new (musical) material to really entice fans. It could still be a good gift for the Floyd fanatic or completist, though; I've already got it on my list to go with my Shine On boxed set. If nothing else, it's worth a peek at the two covers shown on the band's site, with a Waters/Mason version and a Gilmour/Wright version (both included on the set's case). There's also a bit more information on the set's release at their site.